Tune in tomorrow early 03:32 GMT or stay up late 23:32 GMT for BBC WORLD SERVICE documentary – Delivering the King’s Speech! This programme explores the fascinating history of royalty releasing records, and incorporates rare material from the EMI Archives and an interview with EMI historian Tony Locantro. 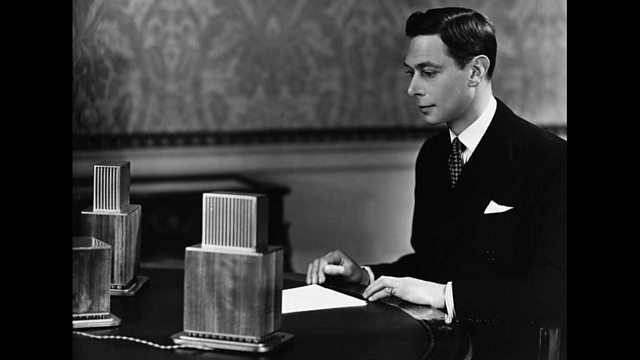 Marking the 75th anniversary of King George VI’s declaration of war against Germany, Louise Minchin relates the untold story of how the King’s Speech reached the entire world. Inspired by the discovery of the original pressing of the speech in the EMI Archives – mounted in goatskin leather and signed by the King himself – Louise uncovers how the King’s words reached the furthest corners of the British Empire. Starting with the fascinating history of royalty releasing records, and incorporating rare material from the EMI Archives and interview with EMI historian Tony Locantro. Delivering The King’s Speech delves into the earliest days of the BBC Empire Service (later to become the BBC World Service) to find out how the King’s message was sent across the globe and how it enabled the Empire Service to win the fight against the anti-British propaganda broadcast by the Germans. If you’re neither an early bird nor a night owl you can also tune in throughout the day! A TBI Media Production for BBC World Service. This entry was posted in Uncategorized and tagged 1939, EMI, emi archive trust, king george vi, royal speeches, tbi, tony locantro, world service by Nipper. Bookmark the permalink.